“Aren’t all Mutual Funds the same? After all, it’s a Mutual Fund, isn’t it?” Asked Gokul. His friend Harish, a Mutual Fund distributor, smiled. He was all too familiar with such a remark coming from many. A large number of people carry the misconception that all Mutual Funds are the same. There are various types of funds, chief among these are equity funds and debt funds. The difference between the two comes from where the money is invested. 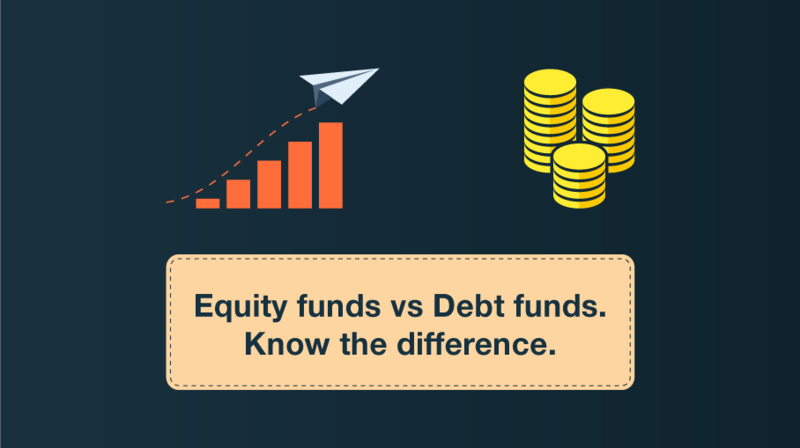 While debt funds invest in fixed income securities, equity funds invest predominantly in equity share and related securities. Both equity and fixed income securities have different characteristics that determine how the respective schemes would behave. Different investors have different requirements. Some need high returns to achieve their goals, whereas some cannot afford to take high risks. Some investors may have long term goals, whereas some may have short to medium term goals. An investor must choose an equity fund for long term goals and debt funds for short to medium term goals. 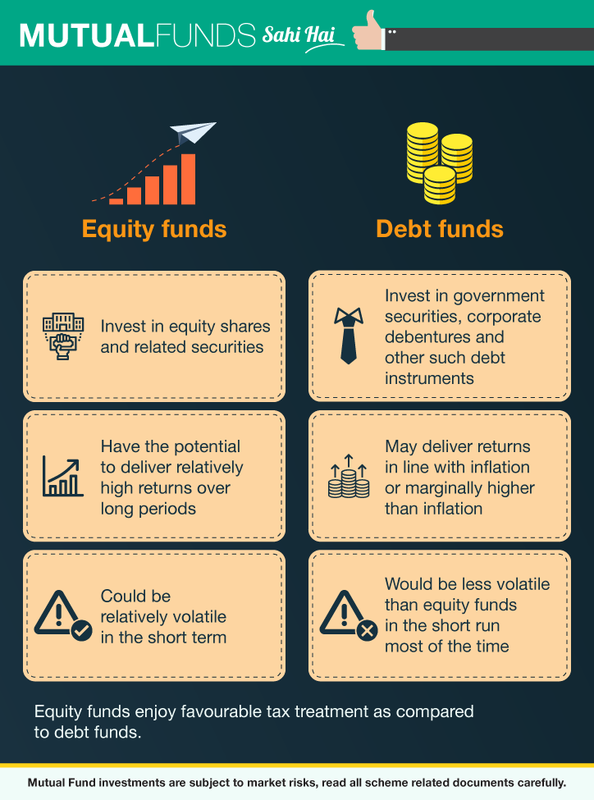 Equity funds have the potential to offer higher returns, but with risk, whereas debt funds offer relatively stable but moderate to low returns.